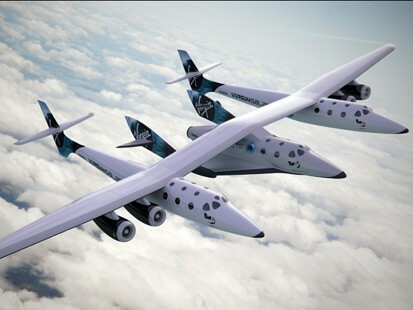 Saturday’s tragic crash of Virgin Galactic’s space plan over the Mojave Desert was inevitable. Two highly regarded pilots subjected a new technology to a test that partially failed. I say “partially” because the launch plane lived to see another day, while the space-skimming component didn’t. As horrific as it must have been to watch the crash, again, I say, all knew it was a definite possibility. Anyone who flirts with the impossible does. Is it wrong to test fate? Certainly not. It’s expected. Demanded, even, if humankind’s going to stretch its limits to infinite levels. Long before the days of Icarus, the absence of wings from the human anatomy led the drive to create the next best thing. Someone’s always thought up of a way to fly without success, but it wasn’t until November 1783 that two French citizens, Jean-François Pilâtre de Rozier and François Laurent d’Arlandes, took flight in a hot air balloon created in 1782 by Joseph-Michel and Jacques-Étienne Montgolfier. That’s when the earthbound soul could gaze upon the world in an entirely new perspective. For the next 100+ years, serious study involving the physics of lift and sustained flight occurred. Notably, Sir George Caley’s work led to the first manned, controllable glider capable of sustained flight in 1853. Throughout the remainder of the nineteenth century, important research and experimentation regarding steam-propelled flight occurred. In 1874 Félix du Temple created an aluminum plane with a 13-meter wingspan. After launching from a ramp under steam power, it remained airborne for a short but significant hop, causing it to be the first hop achieved powered by an engine. In 1875 Thomas Moy set into flight an tandem-winged monoplane dubbed “The Aerial Steamer.” Alexander Mozhaiski, a Russian, built a steam-powered monoplane and in 1884, managed to launch it from a ramp and it remained aloft for 98 feet. Each of these experiments edged pilots closer to their goal of sustained flight with the use of power to achieve it. Here’s where the controversy comes in. Gustave Whitehead fans know for sure it was he who took to the air on August 14, 1901 in Fairfield, Connecticut and stayed there using his Number 21 Monoplane. It was an event reported in the Bridgeport Sunday Herald. In January 1903 he claimed to repeat his feat two more times. Even Jane’s All The World’s Aircraft stated in 2013 Whitehead was first. On the other hand, the Smithsonian Institution is sticking to its guns saying that the Wright Brothers, using their unstable, nearly unmanageable aircraft, took flight at Kill Devil Hills, North Carolina on December 17, 1903. Each brother had his turn, with Orville flying 120 feet in 12 seconds, and Wilbur beating his brother by going 852 feet in 59 seconds. All these contributions were significant. In ten years’ time, flying machines progressed to such a level they became not instruments of how humans can soar with the birds, but shoot them down like game. World War I pilots became famous and infamous, as their canvas and wood planes were capable of killing not just the enemy, but anyone who was brave enough to fly them. After the war, flight technology progressed rapidly. Aviators pushed the limits as quickly as the engineers who built the planes they flew. Charles Lindbergh was the first to cross the Atlantic without stopping, and Charles Kingford-Smith was the first to cross the Pacific uninterrupted. In 1924 the first aerial circumnavigation was conducted by the United States Army Air Service using a team of pilots. Of course we all know what came next. World War II brought on unparalleled use of planes as weapons, with the first jet coming from Germany at the end of the war. That led to a combination of supersonic planes and the development of rocketry. Far more pilots died as a result of war than as a result of experimentation of new technology, but it is although through the applied usage of flight that humans have created new boundaries to serve new purposes. Planes launched a powerless Enterprise, the first American space shuttle. Eventually, rockets got them into space. The missions also met with tragedy twice. But look what those missions gave us: a new understanding to what is possible, and what might be. My heart goes out to the families whose members made the ultimate sacrifice for pushing the boundaries. Their contributions are not forgotten. Their deaths are not in vain, but will one day serve as an example of what can be ultimately achieved when one bravely steps out to take the ultimate risk.